Published: Nov. 18, 2018 at 07:03 p.m. 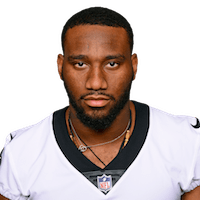 Published: Nov. 18, 2018 at 06:39 p.m.
New Orleans Saints wide receiver Tre'Quan Smith secures a contested catch for 21 yards on a pass from his quarterback Drew Brees. Published: Nov. 18, 2018 at 06:04 p.m.
New Orleans Saints quarterback Drew Brees threads the needle to his wide receiver Tre'Quan Smith for an incredible 15-yard touchdown connection.